A gift basket filled to evoke the beautiful castles of the Loire Valley. A perfect gift as an aperitif. A fresh treat to match the wines of the Loire - Chèvre goat cheese and crackers. A lovely basket filled with a red GSM wine from the Rhône Valley and a Chardonnay from the Mediterranean coast of France. Gourmet cheeses to match each of the wines, crackers, Quince Paste and a Fig Log. 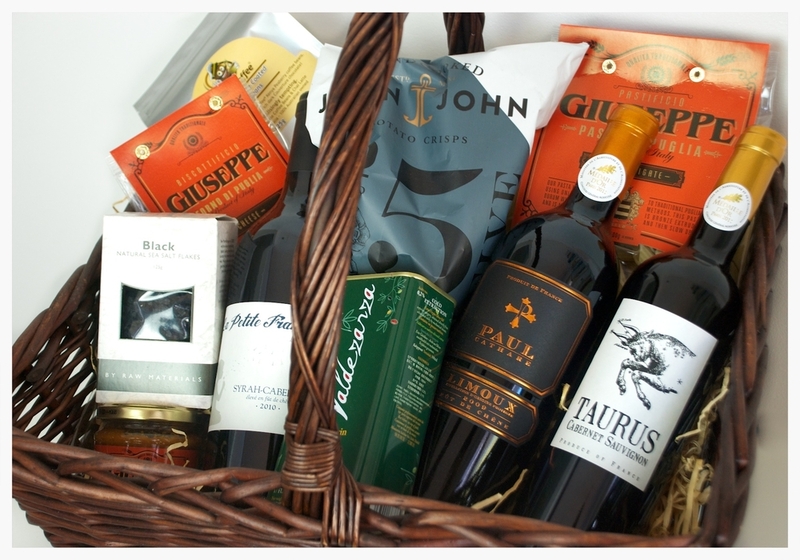 Gorgeous gift basket filled to please the most gourmet tastes. 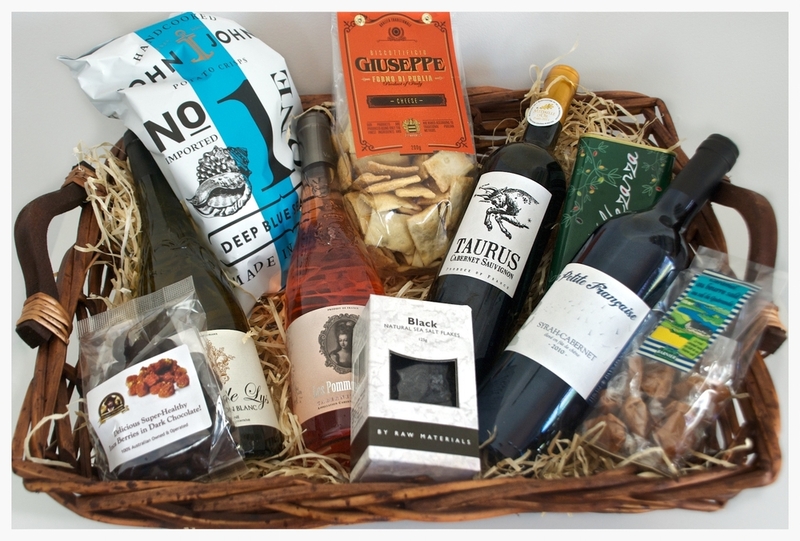 This hamper contains a bottle of our La Petite Francaise Chardonnay and an Hungarian Pinot Noir plus gourmet treats to go along with these wines. 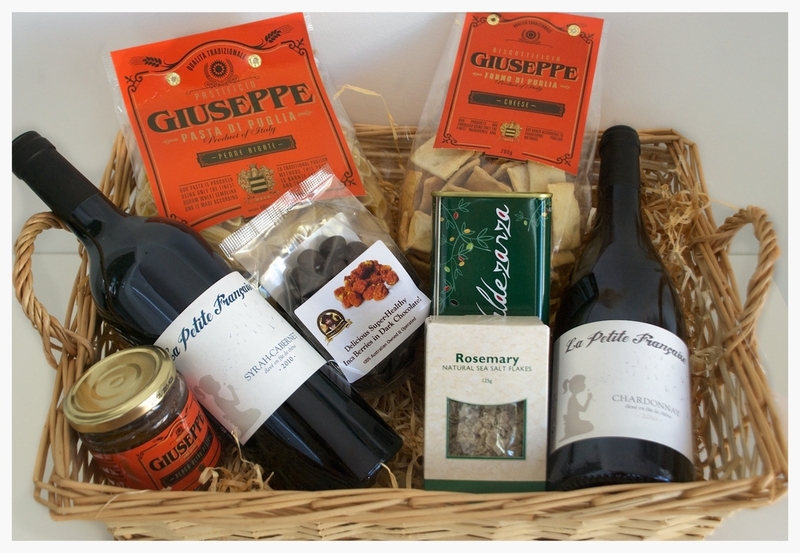 For the lovers of red wines, this hamper contains 3 of our best red wines from France and Hungary and matching delicacies. Gourmet cheeses to match each of the wines, crackers, Quince Paste, a Fig Log and gourmet chips. Filled to the brim with 4 bottles of wine from our French wine range and many delicious treat to please all tasted.